We were delighted to receive an award for our website at the Best Loved Hotels Awards 2015. 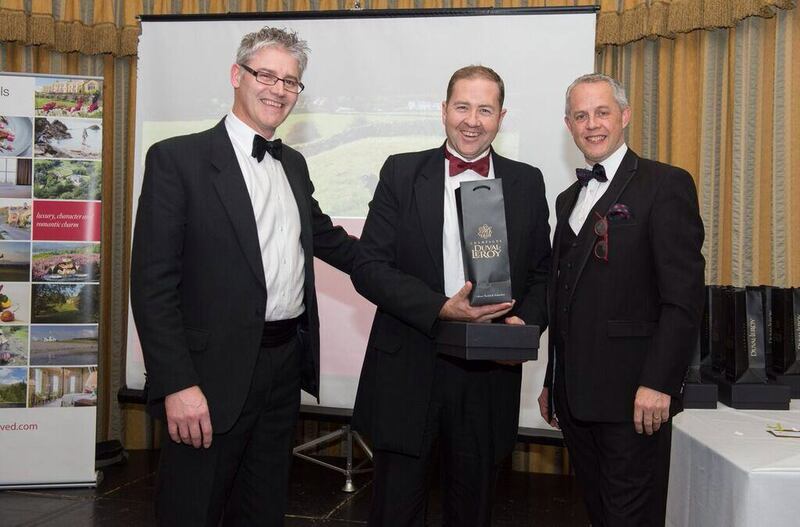 Evan Marshall (pictured here), our General Manager at Maison Talbooth accepted the award for ‘Online Excellence (Best Hotel Website)’ at Rudding Park in Yorkshire. The Milsom Hotels & Restaurants new website only launched at the end of July and its a real testament to the team at Standout who designed and built the website for us. Best Loved Hotels are pleased to announce the winners of the ‘Best Loved Hotels Awards 2015’. Best Loved Hotel Awards are designed to celebrate and showcase excellence across Best Loved properties throughout Britain and Ireland. The awards showcase excellence across many categories including the ‘Extra Mile Award’ recognising seamless customer service, generosity of spirit, a hotel who is prepared to go above and beyond for its guests. ‘The Easy Being Green Award’ that appreciates hotels which have incorporated energy saving and environmental friendly practices into the everyday running of its hotel. Other awards categories include family friendly hotels, best places for weddings, best wine cellar, pet friendly, best for spa amongst others. Nominations for Best Loved Awards opened in April 2015 and Best Loved customers are invited to nominate hotels where they had stayed and experienced best in class stays. Winners were announced at a glittering industry award’s ceremony and dinner held at Rudding Park on Monday 23rd November with over 120 hoteliers in attendance.